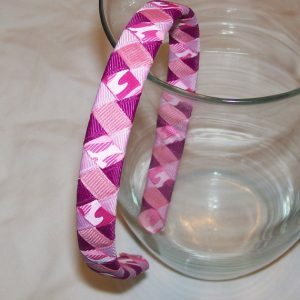 You will receive 1 brown pink dots pinwheel bow headband hand wrapped with solid light pink ribbon. 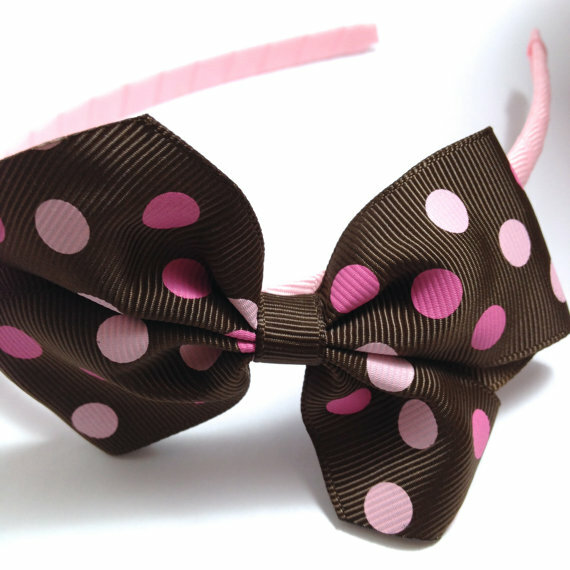 The attached hair bow is made with brown with light pink and hot pink dots ribbon and measures 4 inches. I heat seal all ends so they shouldn’t fray.